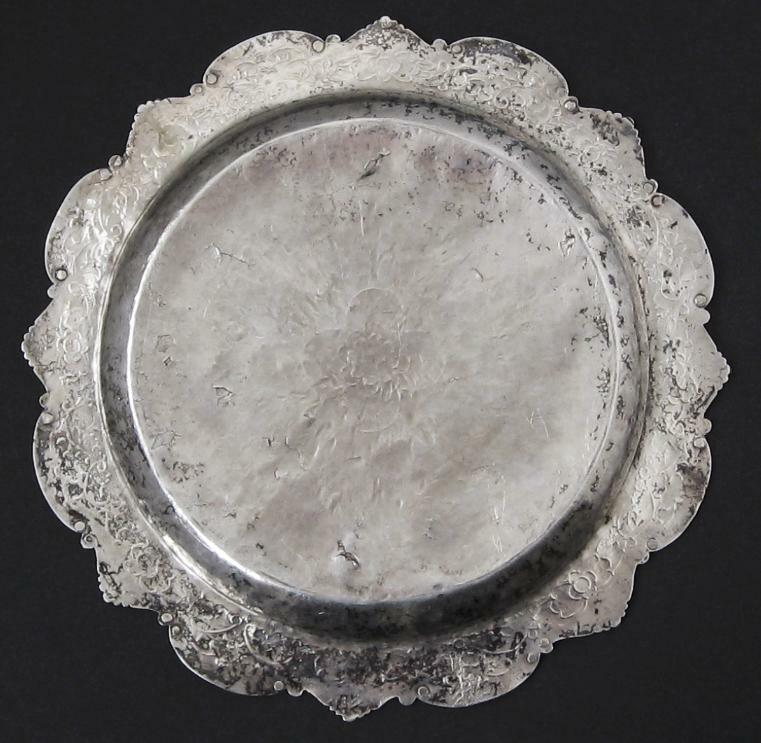 This plate or shallow dish has been made from extremely high-grade, if not pure, silver – perhaps the purest silver we have seen for a Malay receptacle. 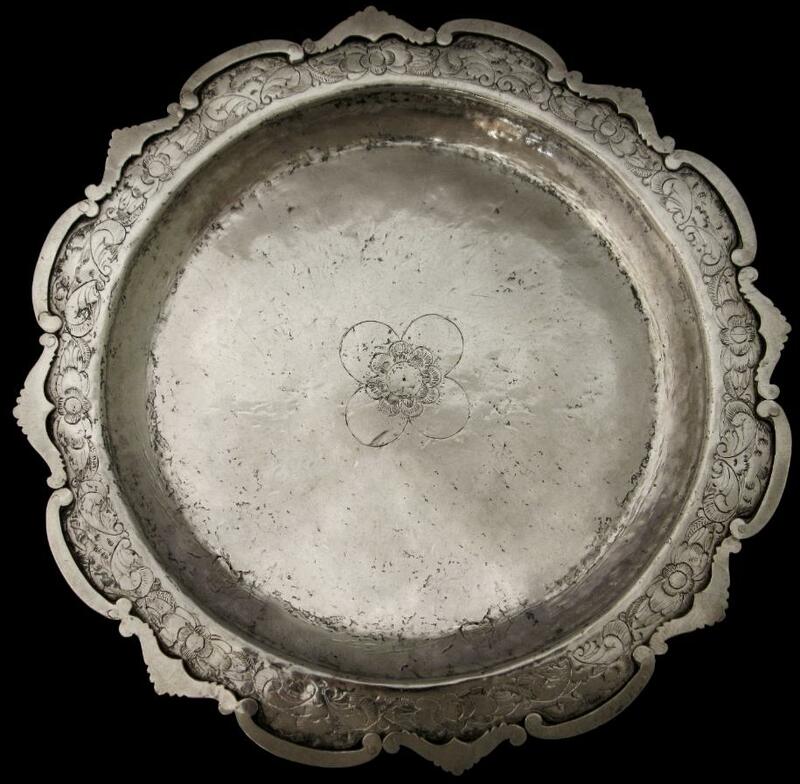 It has been hammered from thick sheet and engraved with typically Islamic Malay flower and foliage motifs. A round flower motif is at the centre of the plate; and the broad rim is etched with repeated scrolling flower and foliage motifs. The edge of the rim of the plate has been reinforced with separately cut silver segments which have been secured by means of hand-fashioned rivets. 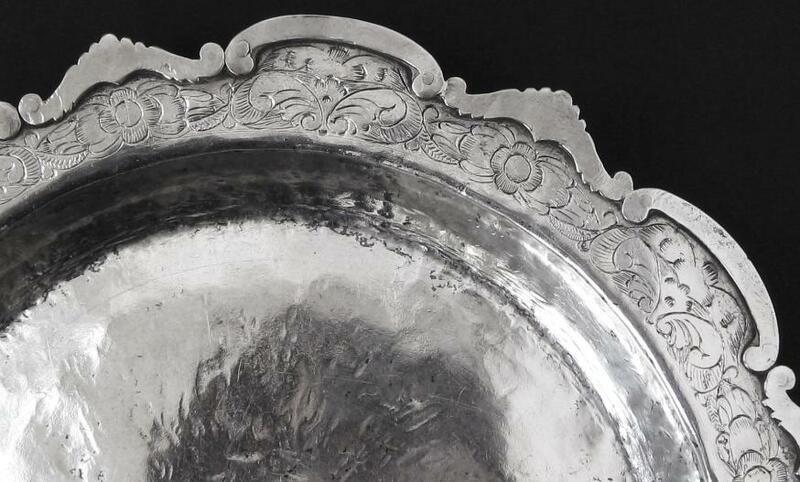 Overall, the plate is heavy for its size and in thick pure silver that has obvious age. Similar plates are illustrated in H. Ling Roth, Oriental Silverwork: Malay and Chinese, Truslove & Hanson, 1910.